Let’s Get Pickled! | Laura's "Rules"
When Hurricane Sandy was still looming, I checked out the bottom of my veggie drawer and the more dubious corners of the fridge, and decided, then and there, to put up some lovely and super-easy vegetable pickles. This simple preparation is actually a wonderful way to deal with the stubby tail-ends of veggies that are still hanging around (but not actually spoiled). You can also thinly slice and pickle stems, like those on broccoli or cauliflower, that you would otherwise throw away, which is a nice way to use the whole kaboodle. As a side-benefit, they are surprisingly (and unduly) impressive to guests. I recently served them at a small brunch with friends, and they made a tasty giardiniera (or, less pompously, chow chow) to accompany our fritatta. Maya will occasionally eat them as well, though sour is still a taste category under acquisition. 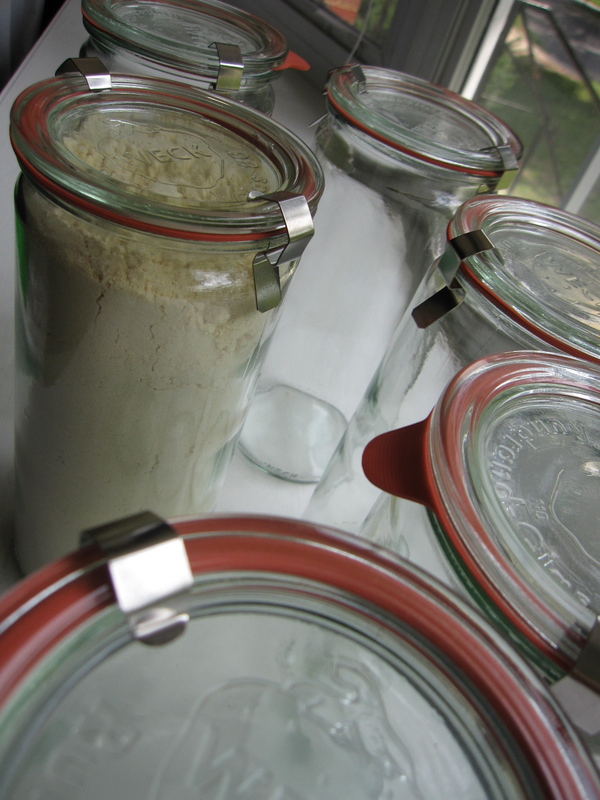 Since most jars — including the Ball and Kerr jars (now all made by the same company) — evidently have BPA under the lids, I used wonderful Weck jars, which are nothing but glass with a rubber gasket and metal clamps. These are the 1-liter cylindrical jars, which come in a set of 6 (for $21) that is ideal for other kitchen storage, or even making canned goods into gifts. There are loads of other sizes and shapes available as well. Sidebar: If you’re really into canning per se, about midway down this page is great information about BPA-free options, including how to source vintage glass lids and gaskets on Ebay. In addition to Weck’s jars, Bormiolli and Le Parfait sell glass-lidded jars, though the shapes are more difficult to work with and the price is generally higher. There are also reusable canning lids, here, that are BPA-free, but are still plastic, and even contain some formaldehyde that the company claims doesn’t get into the food. Er, no thanks! If you know of other options, please let me know! Anyhoo, back to pickling. Fermented foods, because they contain digestion-friendly microbes and enzymes, are helpful to the health of the gut. There’s almost no limit to the health claims folks will make these days on behalf of ample gut flora, and it’s sometimes hard to sort it all out. Still, what seems indisputable is that most traditional cultures included pickles as a significant part of meals — think kimchi, sauerkraut, kosher condiments, kefir, even the mighty dill spear — yet pickled and fermented foods have largely now disappeared from the Western diet. It also appears that vinegar, when consumed as part of a meal, helps to lower blood sugar levels. So, we’ve added probiotics (buy the refrigerated kind that boasts about containing millions of live bugs) to our diets, as well as plain kefir, kombucha, lots of yogurt (sometimes homemade), and, when we really put it together, pickles! Sorry, but those sugary ball park pickles and relishes don’t count. You need fresh pickles without a ton of sugar or heat pasteurization. The good news is that these live foods are easy to make. 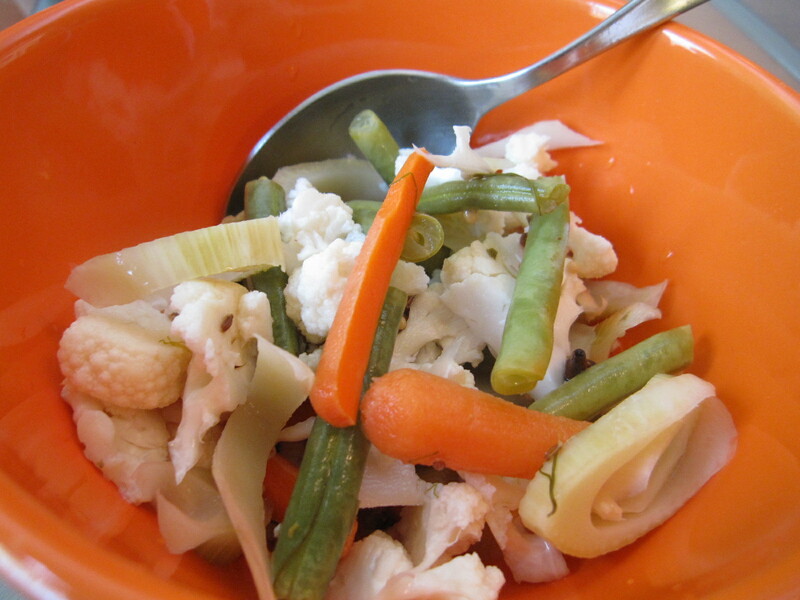 Assorted vegetables, sliced thin as appropriate: this can include (organic) carrots, green beans, fennel (a favorite of mine), red bell pepper, cauliflower (love), turnips, zucchini, turnips, broccoli, and whole or half cloves of garlic, depending on size. Beets are also lovely of course, but will turn the whole thing pink, and so should really be pickled unto themselves. 1 Tablespoon Pickling Spice blend, or as much as you have on hand to make same of: cloves, allspice berries, coriander seeds, mustard seeds, dill seeds, and bay leaves. Figure out how much liquid you will need for your jars and the right ratio based on the above. But note that it’s not picky, really. Pack the vegetables 1/3 of the way in, layering them in the jar. 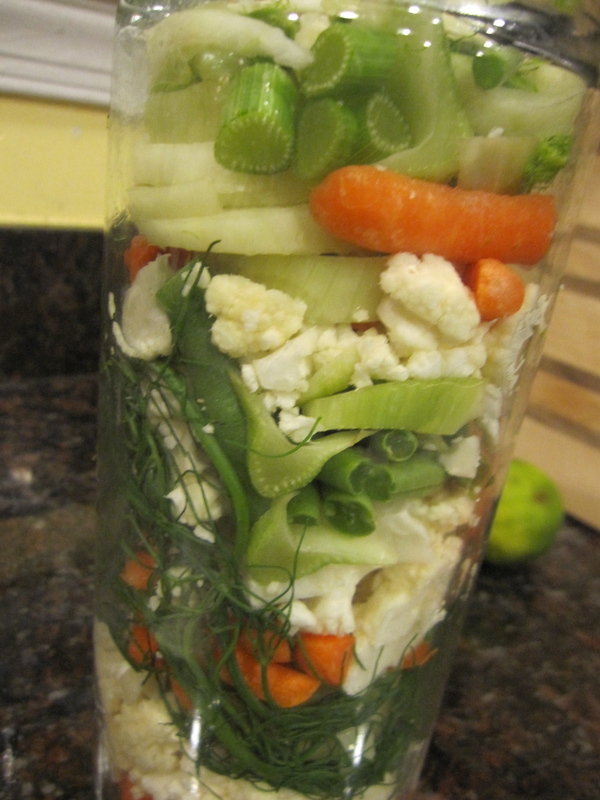 Ensure that the vegetables are below the liquid and let the jars cool, and even sit out a bit. You can then store them in the back of the fridge. After a week or so, they will be somewhat pickled, and after two weeks, even more so. 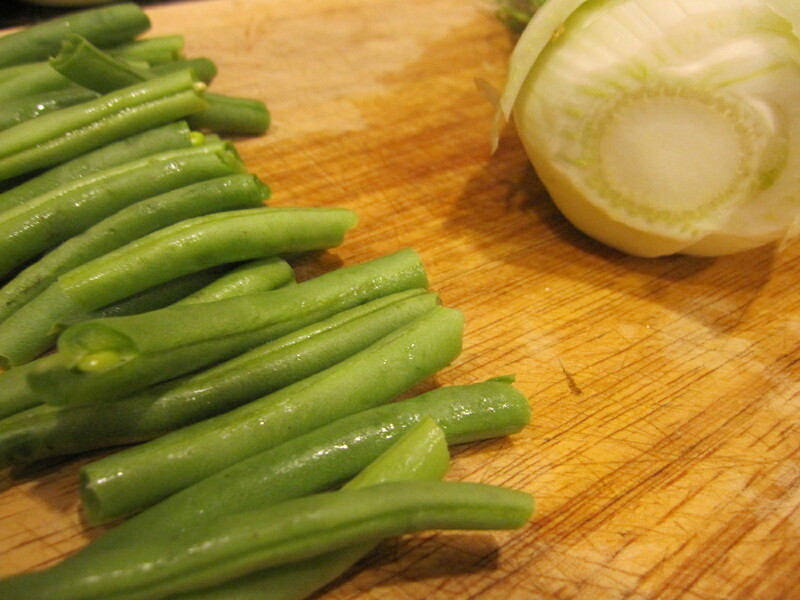 You can also reuse the pickling water, which becomes more flavorful with repeated use. And do tell, what do you pickle? This entry was posted in Recipes & DIY and tagged Bell pepper, BPA-free, brunch, canning jars, chow chow, condiment, containers, Coriander, dinner, easy, Ebay, environmental health, Fermentation, fermented, food, Giardiniere, glass, green, health, healthy, Home, Jacques, meal, mommy blog, Mustard seed, organic, Pepin, pickles, Pickling, recipe, side-dish, Sugar, Vegan, vegetables, Vegetarian, Vinegar, WAPF, Weck, Weston A. Price by Laura MacCleery. Bookmark the permalink. Great thought, Emmy! I really do love these, and hope you do too!